PTC Trust organised a series of workshops in 2017 to equip students with the practical tools and skills to make their own science film. The kaupapa involved raising awareness and community engagement in the thrust to protect our rivers and streams. Rangatahi are future leaders in a world that is changing dynamically and rapidly. 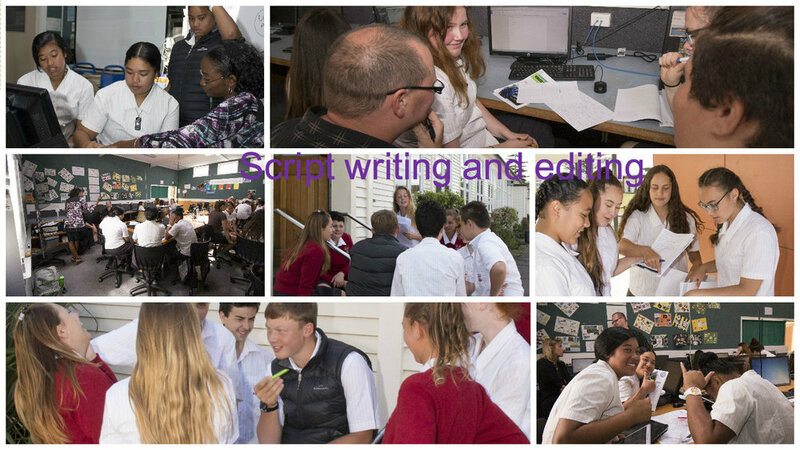 Students worked diligently to convert their science learning; submitting their final cut to the 2017 Reel Earth young filmmakers competition in Palmerston North. The Reel earth festival showcases some of the best recent environmental films, illuminating a range of issues that are important to us; from climate change to animals rights. The PTC youth team successfully won the Kaitiaki award for their documentary '3 boys and a River' and were awarded their prize at the youth award ceremony in Palmerston North. Their film was displayed at a special School Assembly dedicated to champion the achievements of all their students and staff over Term 1. Our budding scientists used the opportunity to raise further awareness of the thrust for healthy rivers and streams across their school population of 608 students. Their winning film was also featured on school facebook with followership of 3,456 people and received great reviews from a wide range of individuals. Students also promoted all their science learning in the school Newsletter July 2017 p.13 onward. The School Newsletter interestingly is sent to all parents and 30 community organisations including Muaupoko. The wide readership facilitated the message on river quality and health to extend beyond the walls of the school halls to the extended community fulfilling the project mission to promote renewed environmental stewardship.